In just under two months, on 9th March, residents of the former Douglas Shire, which in part embraces the Division 10 of Cairns Regional Council, will have a referendum to decide if they will go it alone. Estimates are that ratepayers will have to fork out up to $1,000 each extra in the first year to help fund the $9m cost of amalgamation. Some proponents have argued they should have been returned to the financial position they were prior to joining up with Cairns Council. Details and postal vote forms for the poll are available from ECQ. Last week Friends of Douglas Shire wrote to State Minister of Local Government David Crissafulli and challenged the assessment by the Queensland Treasury Corporation about the future financial sustainability of a new Douglas Shire, with the QTC concluding that a new Douglas Shire is not financially sustainable in the long term. "Friends of Douglas Shire vehemently disagrees with this assessment," Robert Hanan told CairnsBlog. "We have commissioned an independent assessment of our own, using a highly regarded economics consultant." In the report, the consultant commissioned by Friends of Douglas Shire found glaring anomalies in the QTC's assessment. "There was a $100 million error in the assessment of the assets of a new Douglas Shire," Hanan said. "The consultant has also raised concerns about an apparent significant over estimation by QTC of the annual costs of materials for the new Shire and an over estimation of the numbers of new staff to be employed, both of which add millions of dollars annually to the costs of running the Shire." 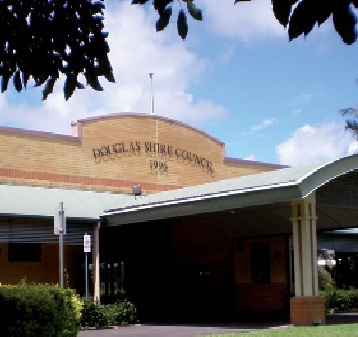 FODS has informed the Minister about these "errors and anomalies" and has requested he instruct the QTC to properly inform residents of Douglas Shire about how these costs estimates have been arrived at. "The Minister has also been provided with a copy of the report of the independent consultant," Robert Hanan said. "It is understood the Minister has referred the report to the QTC with a request for an explanation of the concerns raised by FODS. These are serious matters and if they are not properly resolved could lead to mis-information being provided to the community in the lead up to the referendum on de-amalgamation. Indeed this is already happening." Hanan says FODS is adamant that a new Douglas Shire is financially sustainable. "We will have the capacity to fund capital works and ongoing operational commitments into the future without any need to increase rates and charges beyond annual CPI increases," Robert Hanan said. "Importantly, the assessment by the independent consultant supports this view." "FODS is planning public meetings in the near future to inform the community about these matters. We are making every attempt to get more information from the Minister about how the QTC has arrived at its numbers and the justification for them." Hanan is also asking those who support de-amalgamation to donate to the campaign in the led up to the referendum.